Our mission at Grace Church is to make mature followers of Jesus Christ by equipping them for a life of spiritual passion that impacts their home, the community, and the world for Jesus Christ. How do we go about cultivating a life of spiritual passion? There are many areas of the Christian life that are keys to this pursuit. As a church, we have identified six Core Values that we believe are foundational to becoming more like Christ and living a healthy, disciplined, and balanced Christian life. Instead, you must worship Christ as Lord of your life. And if someone asks about your Christian hope, always be ready to explain it. But do this in a gentle and respectful way. Keep your conscience clear. Then if people speak against you, they will be ashamed when they see what a good life you live because you belong to Christ. discovered hidden in a field. In his excitement, he hid it again and sold everything he owned to get enough money to buy the field. As a church, we have chosen six Core Values that help us determine the “how” behind our mission to make mature followers of Jesus. One of these Core Values is to be biblically oriented, conforming our lives to biblical truth day-by-day, and letting the Scriptures feed our souls. Matt described four categories of people in our church. Which of the following do you most closely identify with? 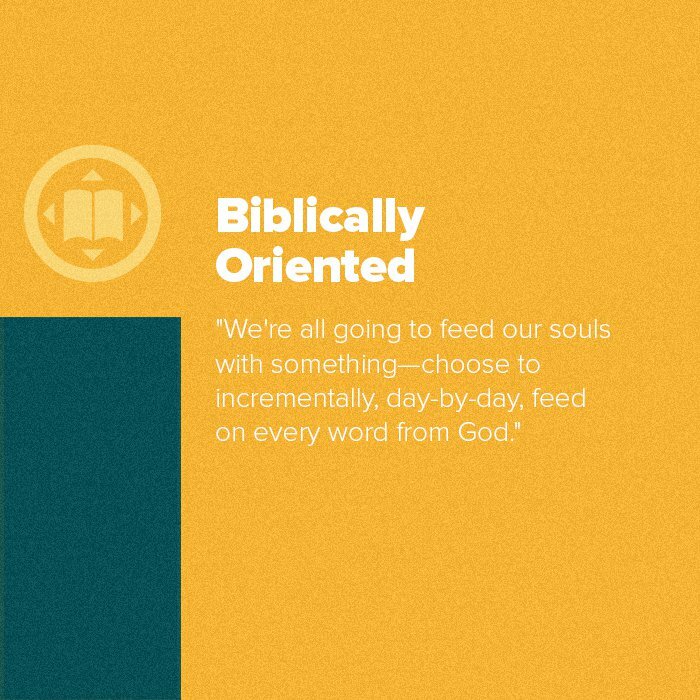 What is one small decision you are going to make this week towards becoming more biblically oriented? 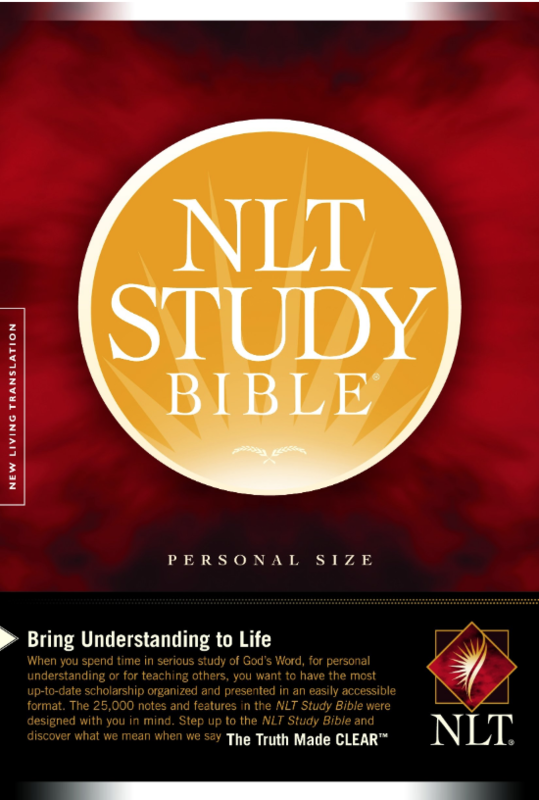 -You are not a Christian, but you might feel inclined to study the Bible. -You are new to your faith, and your goal now should be to grow deep roots so that you are not swayed by this world. -You are consistently in church, but there has not been movement or growth in your life for a while. Your heart is hardened, and you have been sitting close to the Word and not obeying it. -You have been feeding on the Word faithfully for a long time, and you can see that the Spirit has made you fruitful and strong. To be biblically oriented instead of self-oriented, we must respond with both personal devotion and constant learning. What does either of these look like in your life currently? Which one do you have a harder time with and why? What is something you have recently read in Scripture or heard taught that you might be disobeying? How do you need to respond instead? God says we are rewarded when we seek him, yet when we hear his Word and disobey, there will be consequences—a hardening of our hearts. Can you remember a time in your life when your heart was tender and responsive to God’s Word? Can you give an example of what that looked like and how your inward devotion to God’s Word showed outwardly? We are all going to feed our souls with something. We have to make the choice to choose to feed on every word from God. 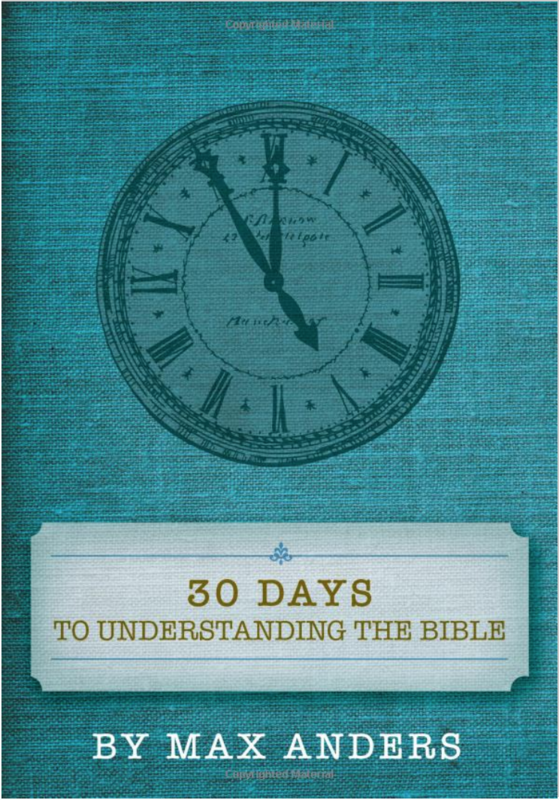 Being biblically oriented starts with slow, incremental, and consistent nourishment of God’s Word. There is nothing “magical” about slow and incremental, but we have to choose to take the long-term view and recognize we can’t feed ourselves all at once or overnight. Scripture tells us if we accept and obey his Word, this reveals our love for God. If we reject and disobey his Word, this reveals our hate and neglect of him. We don’t get to rewrite these rules for ourselves. We often struggle in our culture with “faking it” and even deceiving ourselves to think we are obeying God’s Word when we are actually rejecting it. We have to remember that our love for God is manifested by action. Mark 4:4 tells us that we have both a responsibility for searching Scripture and obeying it in faith and consequences for neglecting it. If you are in a stagnant place in your spiritual life, oftentimes the answer is not to just go search your heart (because we cannot trust our hearts), but rather to take a step of obedience so that God can start working in you to move you in a certain direction. Teaching the Bible (whether culturally popular or unpopular) as our teachers study, obey, and teach (Ezra 7:10). Calling people to action and repentance (e.g. singing after the sermon in response, joining a community group, taking an institute class, or joining a care group). Consistently carving out time to be fed from God’s Word. Learning new things and moving towards them to study and understand. In a world where we instinctively hide, and loneliness is everywhere, we have to fight to be relationally connected in the way that the Bible lines out for us. Being connected to others in community is in the fundamental nature of what it means to be human. 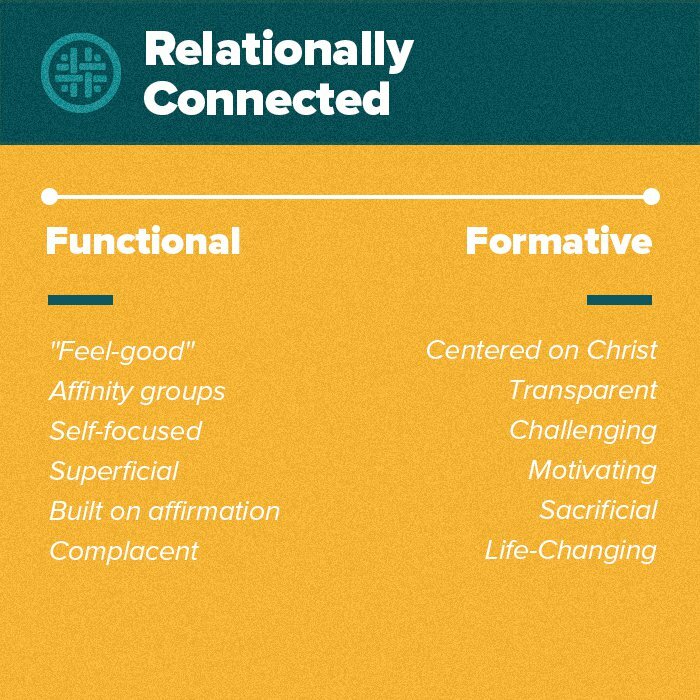 As believers, being relationally connected is defined by developing relationships of encouragement and accountability. What have you defined as your community either in your current life stage or in the past? How might your definition differ from what the Bible calls us to? Chris uses the example of carrying a backpack alone versus carrying a boulder alone to illustrate sharing and carrying each other’s burdens (Galatians 6:2) and knowing when to take responsibility for your own (Galatians 6:5). The assumption here is that everyone is carrying burdens. When have you seen or experienced this type of sharing of burdens? What “boulder” have you been carrying that you need to confess in community? For whom do you need to step in and help carry their “boulder”? Being relationally connected is not about spending all of our time with a functional community of friends who are just like us and make us “feel good”, but about a formative community of people who are spurring us to be more like Jesus through challenging, exhorting, sacrificing, encouraging, and motivating. Where might you be investing in a false, or functional, form of community that isn’t the life-changing community of the Bible? When is a time that God has used true, formative community to mature you? What can you do to step out of functional community and move towards formative community? How has social media, your phone, and other communication kept you from being fully known and relationally connected? How might these things contribute to loneliness? Chris explained the progression from the “one another” in James 5:16 to confess and pray and then be healed. How have you seen or experienced the healing process of accountability and the confessing of sin bring life change? 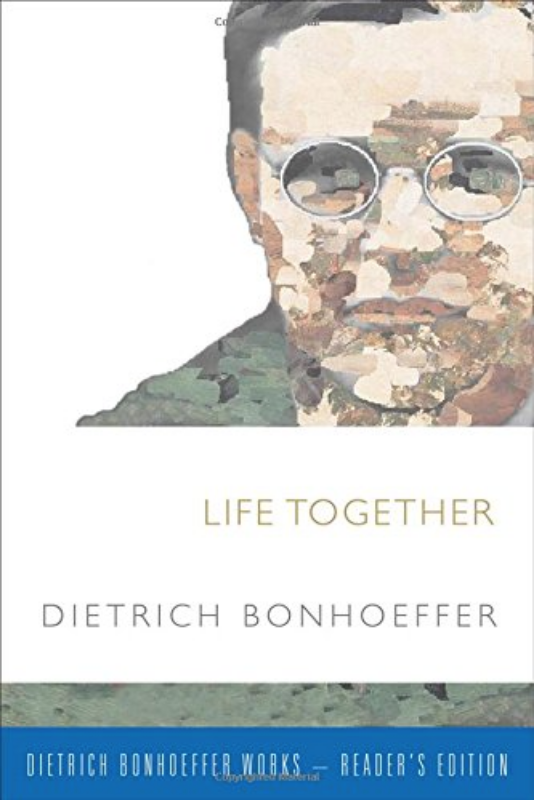 What is helpful from the quote from Dietrich Bonhoeffer? In Genesis 1-2, the only thing God mentions as “not good” was man’s solitude; even in the perfection of the garden, God considers Adam “alone.” Since the beginning, we have been wired to be relationally connected. We were created to live in community that goes beneath the surface—community where we are transparent, seen, fully known, heard, cared for, confronted, and loved. James 5:16 tells us to confess sins to each other, pray, and then be healed—in that order. We should be confessing to each other in the midst of our sin, not wait until we feel like we have it managed. This is how we are healed! We have redefined community as a group of people that we love because they are similar to us, and they make us feel good about ourselves. This is not the type of life-changing community we find in the Bible. It is challenging to live in a group of people who are not like you. However, loving them will mature you into the image of Christ far more than surrounding yourself with people who are easy to be with. In the midst of biblical community is where we meet God. 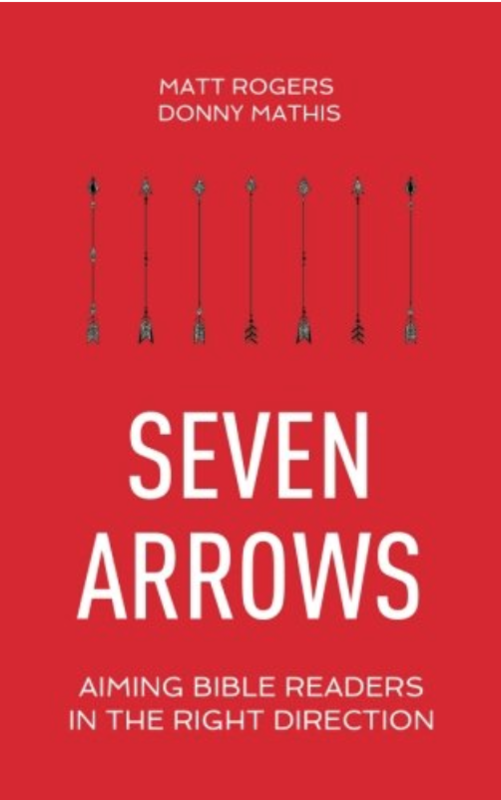 God did not create us because he was lonely, needy, or bored but because being relationally connected is so essential to his being (in the Trinity) that he wired us that way as well. Courageous generosity requires a heart that is oriented around managing, not owning, the resources God has given us. It is a discipleship issue; it is our responsibility to steward well the resources he lends to us. The expression of our generosity reveals what’s going on in our hearts—what we value, fear, have confidence in, and what makes us happy. Where are you most generous? Where do you fear missing out or not having enough? What do you think your spending reveals about your heart? When we deplete ourselves of resources and cut something loose, it rights our heart and reframes reality. When have you felt what it is like to deplete yourself to bless someone else so that you have to trust God? How did this change your heart? We are either fearful owners or fearless managers of our resources. If this were a spectrum, where do you think you would fall and why? In what area of your life do you find it most difficult to be a fearless manager? Matt challenges us to hold possessions loosely acknowledging that God owns everything we have, to be careful with debt, and to start small with giving, even if our heart isn’t in it, because our hearts will follow. Where can you move in one of these areas this week? Direction: Pray this week that God would help you see someone that no one else sees and that when you see them, God would tell you what to do to be generous to them. Let us deplete ourselves to care for someone else. In Matthew 6:24, we can see that money positions itself like a master in the way we relate to it—we either serve it or God. With money, we are dealing with both fear and ownership. Generosity is a symptom of hearts full of joy and eternal hope (2 Corinthians 8:1-9). Be careful where you give and why you give. Sometimes we might give because it is where we are celebrated and recognized. When you give to the local church, you are owning the cause of, joining in on, and partnering with the work we are doing together. In the ministry world, it is easy to fake a lot about Christianity, but it is hard to fake generosity. When you give in private, no one cheers or celebrates you; it is a test of your soul. If we cannot give, then we love ourselves more than we love God. Giving is an act of worship. In eternity, our earthly possessions will have long vanished, but eternal investments will last. We can give to other institutions, but the majority of our generosity should be to the local church—it is the only institution that covers us and our families for our whole lives. If you have been blessed with an abundance of resources, you might think it is your job to control where all of your resources go; however, it is actually part of the discipleship of generosity that you release them and that others in authority are responsible for how they are used. We are either focused on ourselves or we are focused on others. But when we start with the perspective of God’s mercy and reflect on what he has done for us, it is only reasonable to then pour ourselves out for others as Jesus did for us. As we sacrifice ourselves and our time for the body of Christ, our gifts will allow us to do what God has called us to do. Instead of spending our time trying to perfectly identify our individual gifting, we can jump in to serve and trust that those around us will clarify and affirm our gifts. As you think about being ministry focused, do you lean towards self-protection or self-promotion and in what ways? How have you dealt with some of these issues? In what ways can you repent? -Self-Promotion: Crave Significance, fearful of irrelevance or insignificance, and you are always thinking of how to be in the center of what is going on and in the middle of every room. It feels like a deep loss to sit in the back. Paul’s appeal for serving is based on everything God has done for us, not on anything we can accomplish ourselves or any particular need to be met. In what ways have you wrongly fed your soul off of what you are getting done for God or needs you are meeting versus feeding your soul on what God has already done for you? How has that affected your joy? What are some practical ways you can renew your perspective by reflecting on what God has done? Read Romans 12:1. What is the command here? How does this contrast with our culture’s need to “create balance” and be comfortable? How are you or are you not living in this type of sacrificial serving (see key point #2 for more on this)? 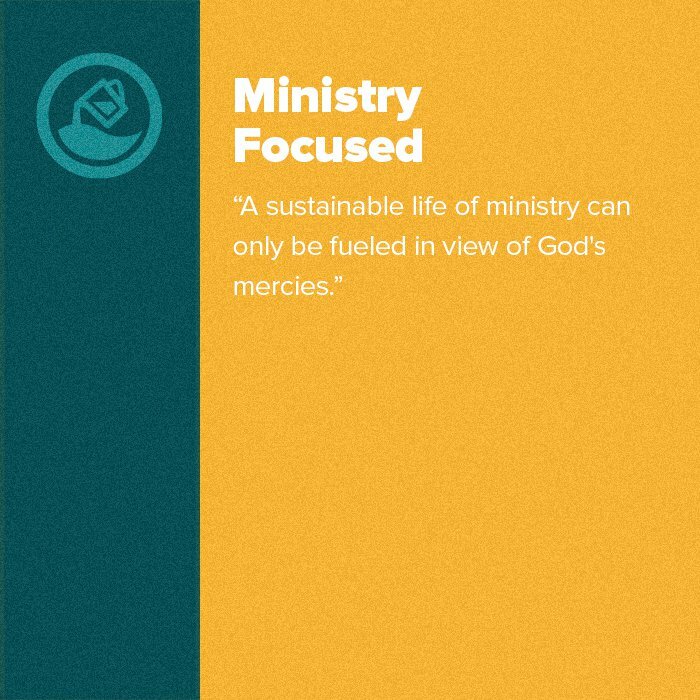 Bill explained that the “how” of living a life of sacrificial serving is through continually being transformed by the renewing of our mind; In what ways do you daily reorient your mind around Scripture? How have you seen your mind transformed over time to come in line with the truth of God’s Word? We need humility that our service is rooted in God’s sovereignty—in how HE wants to use us. And instead of seeking to perfectly deploy our gifts through self-discovery, we should just serve joyfully as we have opportunity and allow our community to clarify and affirm our gifts. Have you had this happen for you? When is a time that you were able to affirm someone else’s gifts based on how you benefited from them? Where can you step out and start serving? Serving starts from the perspective of all that God has done for us, and gaining that perspective happens in two ways: We read and understand through Scripture, and we experience God’s faithfulness and work in our lives. We are commanded to be a living sacrifice as Jesus was for us, expending ourselves for others. If we don’t experience sacrifice in the way Paul is talking about it in Romans 12, we will not experience the sufficiency of God because we are already full. We have to leave a lack and dependency in our lives that God has the opportunity to fill. You will only experience his sufficiency when you get to the place of your insufficiency. The sacrifice required of us has three qualifiers: living (daily, incessant, not a once-for-all kind of thing), holy (set apart, repentant), and acceptable (well-pleasing). One of the challenges we have as a church who values teaching is we can learn a lot but harden our hearts by hearing more than doing. We have to check ourselves to be sure we are acting on what we learn since we have access to so much truth. It is the quiet, ongoing, steadfast sacrifice that is the mark of true discipleship. A sustainable life of ministry can only be fueled in view of God's mercies. 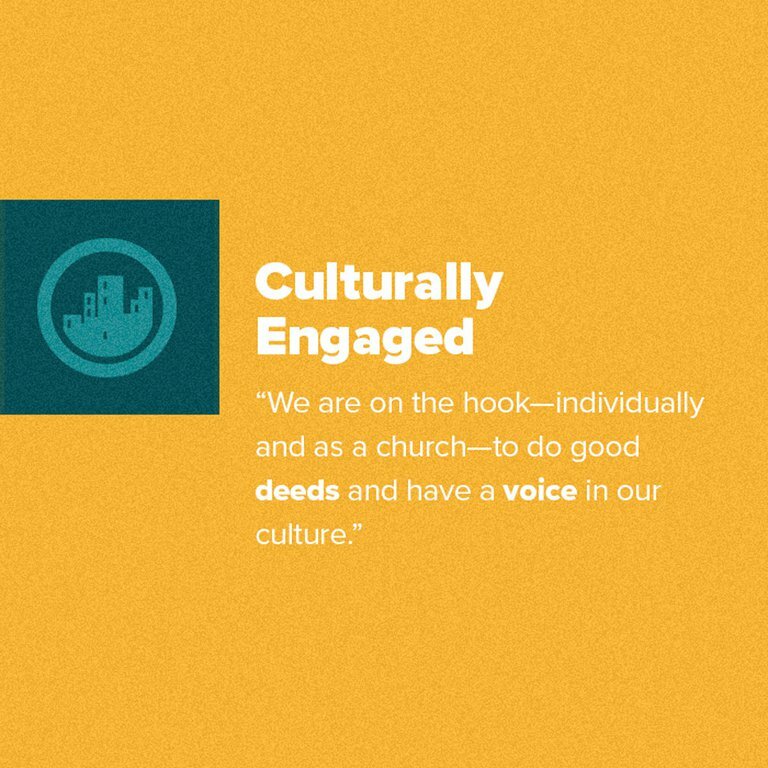 Engaging the culture to share the message of salvation includes both doing good deeds and having a voice—for our church and for us personally. Motivated by our love for God and what he has done for us, and by a holy fear of who God is, we need to be sure we are both doing good deeds and telling others why in order to bring glory to God and shine light in the darkness. Read Acts 4:16-22. How would you say you are characterized: as someone who wants to tell about what God has done and shares with your voice, or someone who remains silent about what you have seen and heard? What holds you back from sharing, and what does that say about who you fear, God or man? How have you seen good deeds and voice work together to show someone the love of Christ? How have the good works and love of someone else affected your own faith and shined light in your darkness? Matt mentioned three ways we can share with others: (1) Ask questions about people’s lives and ask if you can pray with and for them, (2) Speak and respond gently and kindly, and (3) Share your story (resource on the Grace Church mobile app). Which one of these is hardest for you? How can you do one of these this week? If no one asks you about your faith, you might not be living a compelling life. People should be asking you why you do the things you do. When is the last time someone asked you about your faith? Or have you so surrounded yourself with Christians that there is no one to ask you? GROUP: Discuss the initiatives that your campus pastor shared. How can you personally or as a group get involved in what your campus is doing? The light that you give is the good deeds that you do. It’s not about how much Bible you know but about how you respond to the Scripture that you do know (James 1:22-25). Being prayerfully dependent locks every other Core Value into place and redirects our thoughts and hearts away from the world and towards God. While some of us may struggle with being too naturally independent, and others with being too dependent on relationships with others, the pursuit of this intimate relationship with God is less about a method and more about recognizing our frailty and need for him in every moment. 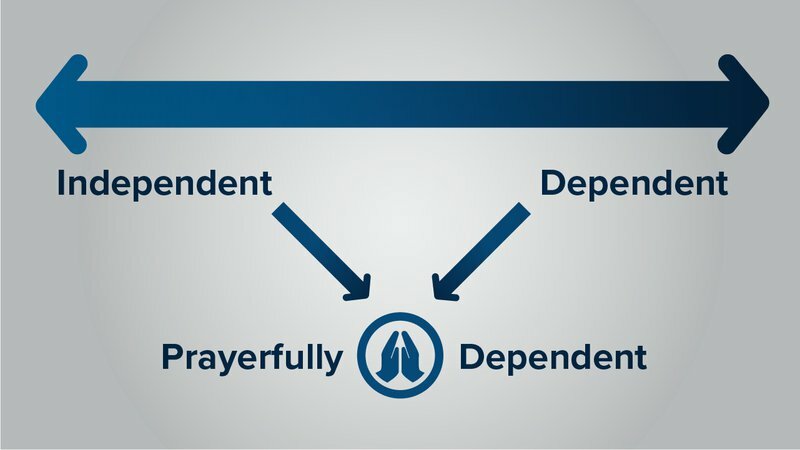 On this continuum of independence and dependence, which category do you lean toward? What are some examples of ways in which you tend toward one or the other? What is a practical way you can move away from independence or dependence on others? Because of our American culture, we are at a decided disadvantage in being prayerfully dependent. We don’t live with the daily consciousness of how frail we truly are, and our security is an illusion. What are some things in your life daily that give you a false sense of control or security? How do these factors keep you from depending on God? In the Lord’s Prayer, we see: the awareness of our own frailty, how easily we can be tripped up in sin and its destruction, how we should come to God with confidence and to own his cause, how to bring him our needs with open hands, and the acknowledgment of our brokenness and need for him to work on our behalf. What are some ways this posture of prayer is or is not reflective of you? 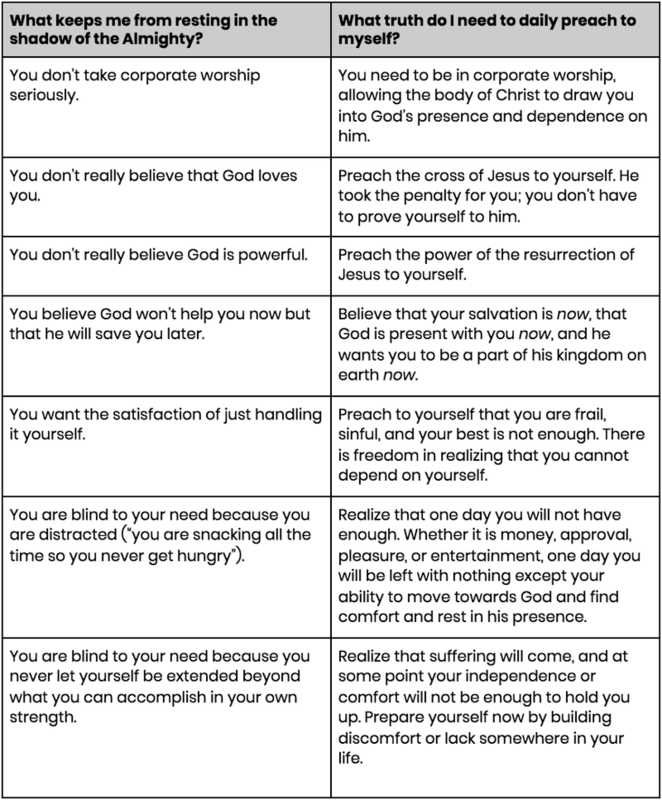 Did this explanation help you become aware of any ways that you approach God that you want to change? What keeps you personally from resting in the shadow of the Almighty? (Psalm 91) Below are seven categories for us to think through and their corresponding truths. Based on which categories you resonate with, how are you going to preach truth to yourself? Is there any action you need to take? 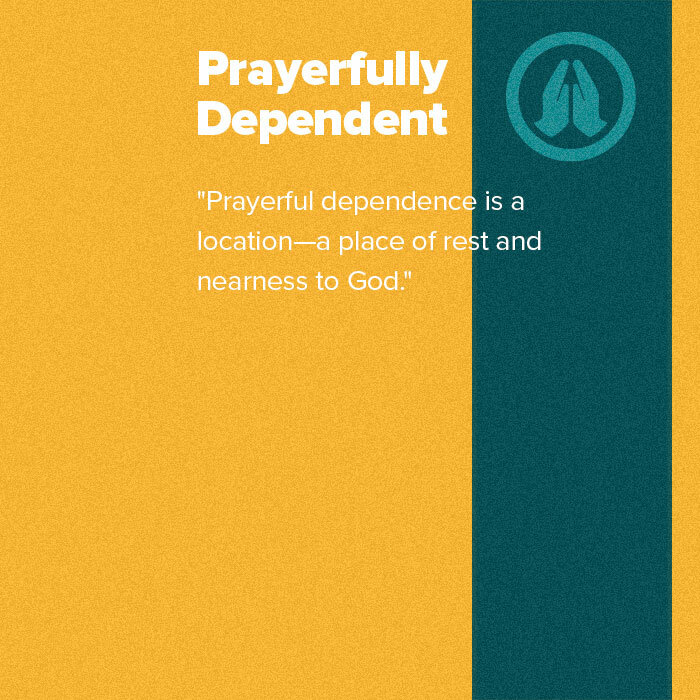 Prayerful dependence is a place—a psychological and spiritual location where we move ourselves into a place of living daily in nearness to the Most High God. In Matthew 6, Jesus uses sweet, personal language to describe the posture of our prayer—our Father knows what we need. In the Lord’s Prayer, Jesus encourages the disciples to come to God with confidence and intimacy. In prayer, our perspective should be in Heaven, bringing ourselves into alignment with his kingdom on earth instead of trying to get God in alignment with our own plans.